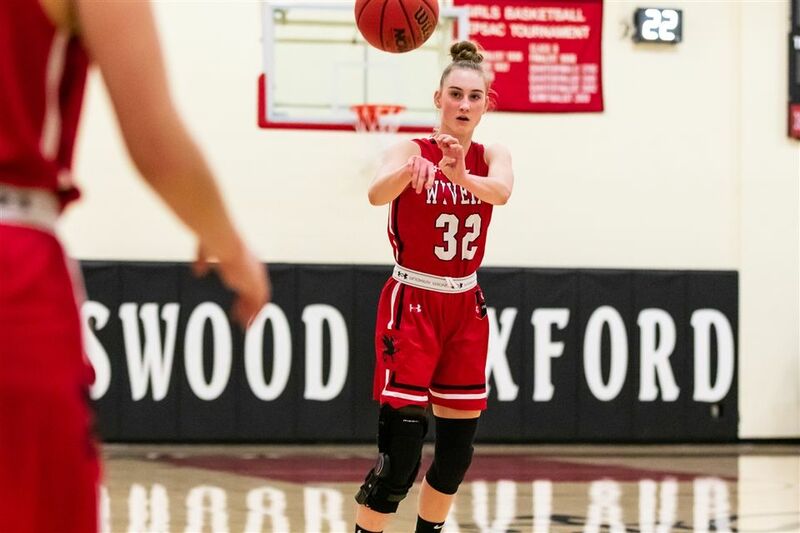 A force on the court and off it, Kingswood Oxford varsity girls basketball senior Madi Henry ’19 is the Wyvern of the Week. On a team in transition, Henry has taken on a leadership role as a senior. “As a senior my role has changed on the team by stepping up as a voice on the court as well as encouraging the rest of the team to push themselves,” Henry said. Henry has been playing basketball since she was in the third grade and she is drawn to the action the sport provides. “The thing that I love most about the sport is the constant intensity both mentally and physically,” Henry said. The Wyverns are in the home stretch of the season and with nine games left, Henry will continue to work hard and be a leader.